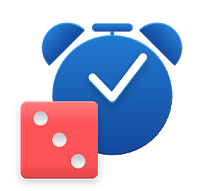 Randomly Remind Me – An App for Building Better Habits – TC Net-Works, Inc.
Randomly Remind Me is an Android app for scheduling reminders to appear on your phone or tablet at intervals you set or at randomly intervals throughout the day. Reminders that you create on the app can contain text and or pictures. If you snooze a reminder or ignore it, Randomly Remind Me will log that for you so that you can adjust your reminder schedule. If you grant the app access to location services, you can get location-based reminders. To get started with Randomly Remind Me simply open the app and tap the green “+” icon to create your first reminder. After giving your reminder a title you can add a description and add a picture. You have the choice of having your reminders appear at random times during the day (you choose how to define your daytime hours) or you can specify when you want to be reminded. For example, I set a reminder to randomly remind me to drink water eight times during the day. When a reminder appears on your phone you can snooze it or check it as completed. At the end of the day you can view a log of your reminders to see how many you snoozed and how many you completed. Randomly Remind Me was created to help people form new habits that they eventually work into their lives without needing a reminder. In the example that I gave above, Randomly Remind Me is sending me reminders to drink more water during the day. If you’re trying to do the same as a New Year’s resolution, you might want to try the app too. As I wrote on Ed Tech Fitness, when we feel better, we teach better.